St John's Hearing Aid Centre offer free hearing tests carried out by experienced, qualified and registered audiologists. These can be booked at either of our branches in Grange-over-Sands or Edinburgh or done by appointment in the comfort of your own home as part of our Free Home Consultations service. We carry out free audiometric hearing tests to establish whether you have hearing loss and the severity of it if you do. The audiologist will take a personal history of your potential hearing problem and ask how your hearing loss affects your everyday life. This enables the consultant to tailor any hearing aid requirement to your particular hearing loss and lifestyle. Your ear will be examined using an instrument called an auriscope (a small hand-held torch which magnifies), allowing the consultant to see the eardrum and the ear canal that leads to it from the outer ear. The hearing test is carried out. A machine called an audiometer is used to produce sounds at various volumes and frequencies. Wearing headphones, you will be played the sounds one ear at a time and asked to respond when you hear them. The results of the hearing tests are plotted on a graph called an audiogram. The audiogram is used to record the measurements established during the test. The results of the test will be explained to you by the audiologist. If you do have hearing loss, you will be advised of the best solution for your particular loss. Following the test you will be free to decide for yourself how you would like to proceed. If you would benefit from a hearing aid, the solution that the audiologist feels is most suitable will be explained to you and any special features will be outlined so you know exactly how it works. 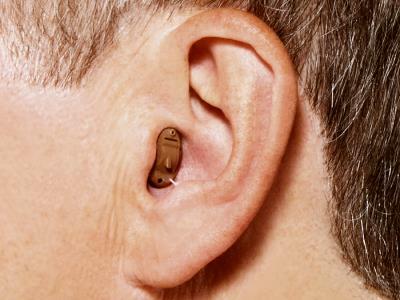 We supply a wide range of hearing aids from well-known leading manufacturers. We supply a wide range of Hearing Aids from leading manufacturers to suit all requirements. If you're unsure of whether you should consider a hearing test, please take a look at our Hearing Loss article or feel free to contact us for advice.